Taurus Moon Sign Vrish Rashi May 2019 Monthly Prediction . Moon Astro Brings Free monthly report for Taurus Moon Sign.This prediction is based on Indian Vedic Moon sign (Rashi) based astrology. Family life prediction: during the first week that is in the 5th, 6th day of the month youmay face financial loss, and this is the big reason of tension in your family. Thoughyour family may support you during the most of the time of your life, but stillyou will feel uncomfortable with the situations coming in your way. You maylose any family member, who was very close to you. Social life predictions: your social life may not rungood, due to huge tensions in your personal life. You may also get into quarrelwith people, because of your choice of words. People may also misunderstand youa lot. You may work for the benefit of the society in your life, but people maymisunderstand you and may backstab you for your honesty, so you need to keepyourself aware of all the worst situations in life. You should also avoid beingso doubtful to the others. Do not be over-helpful, as you may harm yourself. Financial condition predictions: you may lose moneydue to the hunger of earning more money. In the 4th and 5thday of the month huge money may go away due to your child. You have chances ofgetting huge amount of money from the 15th day of the month. Though,there are also chances of you loosing money all of a sudden during the 3rdweek of the month. 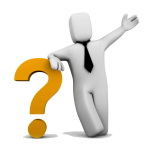 Job predictions: if you are doing private job, thenyou may lose your job during the first week of the month. You may get to visitsome new place due to your job. If you are into manufacturing business thenthere are chances of you getting huge development in work, you will get toprove your worth during the mid of the month. You may get a lot of help fromyour co-workers. During the last days, i.e. from 30th of the monthyou may get a lot of work pressure and added responsibilities. Business predictions: you need to right decisions, to develop in your business. Yourbusiness competitors may try to keep you down and may also produce un-necessaryhurdles in your life. You need to overcome them and move forward as there arehigh chances of you achieving something big in your business. Health predictions: due to high pressure, you mayretard your health condition. Your heart related issues may start allover again, due to constant tension going on in your life. You will also not beable to concentrate on your health and this may worsen the situation intosomething worse. Education predictions: if you have given anycompetitive exam, then you may get any positive result to boost your career.Even if there is any exam in the 28th and 29th of May,then you may get to see success coming in your way. You may also attain somenew course and start studying again if you have left studies. 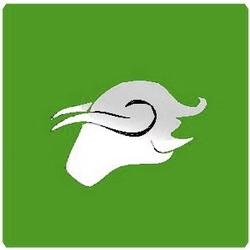 Prediction for Taurus (Vrish Rashi) April 2019 is here..